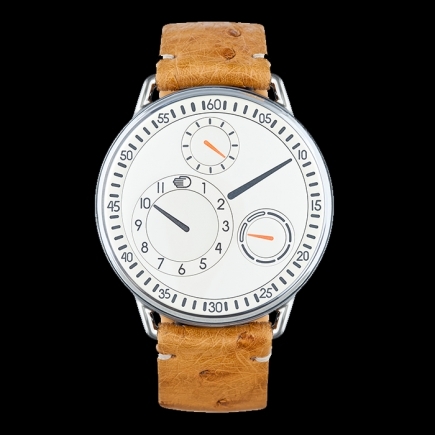 It is a watch with a Swiss movement but a Belgian design. A mechanical watch that puts into perspective the tradition of Swiss watches, their classic watch movement. Objective: rethink the very concept of watches, propose a new type of watchmaking. This is the challenge of Benoit Mintiens and his watches. If Benoit Mintiens' name is not known in watchmaking it is precisely because it does not come from watchmaking but from design. The Ressence watch is his work, the "Type" his watch collections. 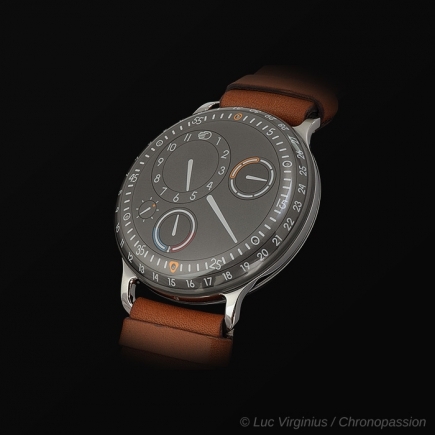 The original case of a Ressence Type is round, usually in titanium and topped with a dome-shaped sapphire crystal. This box can sometimes be made of steel and cushion-shaped. 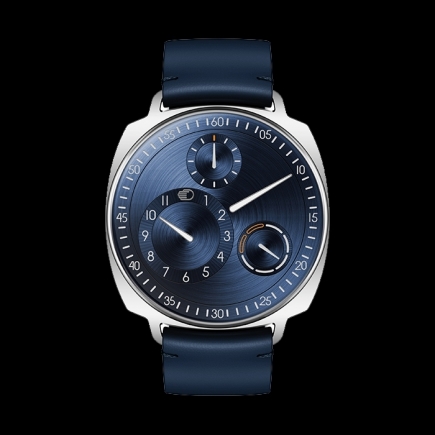 From the dial of the Ressence watches, their design is not reminiscent of the classic watch display system. 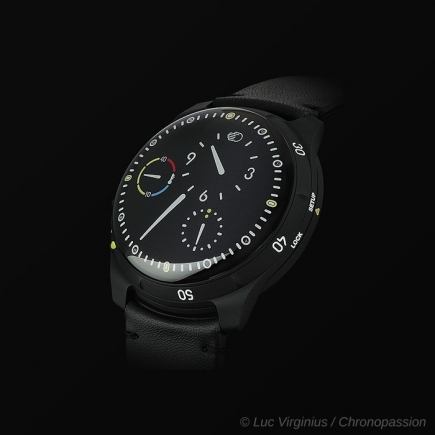 Everything is based on a Swiss invoice movement completed with an ROCS module, for Ressence Orbital Convex System. This is a display system that sets the complete dial in motion. Above all, it is a unique design exercise in watchmaking. Within the titanium case, the ROCS module (Ressence Orbital Convex System) designed by Benoit Mintiens for Ressence watches allows a revolution of all the hands and the dial itself. 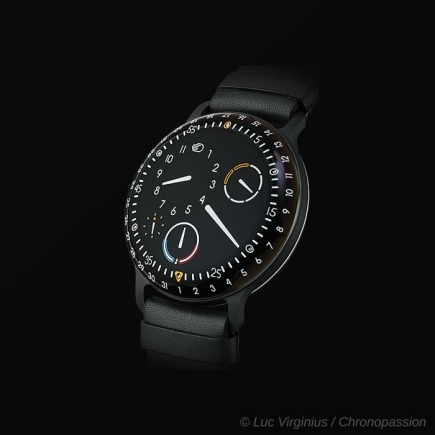 The Ressence Type watch has a moving dial. It is driven by a patented system. It is most often based on a Swiss movement commonly found in watchmaking, from trendy watches to luxury watches. 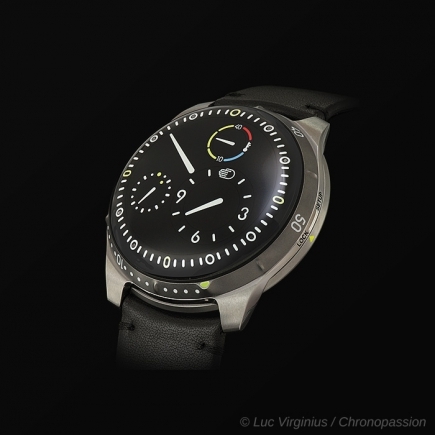 The ROCS module (Ressence Orbital Convex System) designed by Benoit Mintiens for Ressence watches offers him a totally new dynamic for watchmaking - a design exercise that may surprise but is on the contrary very intuitive. Under the sapphire crystal, within the titanium case, the movement and its ROCS module offer an intuitive reading of hours, minutes, seconds and the day of the week. The titanium case offers perfect protection for everyday life. It also protects many luxury diving watches. This is a type of case that is frequently found in watchmaking but which protects the Type de Ressence watch with elegance and consistency, each of its curves being worked on with genuine design care. In the end, the Type de Ressence watch is a global concept, from the case to the dial, from the hands to the glass, a concept of fine watchmaking that boldly renews its watches. Benoit Mintiens de Ressence recently pushed this audacity to the point of imagining a waterproof watch case that contains an oil-soaked dial and display. 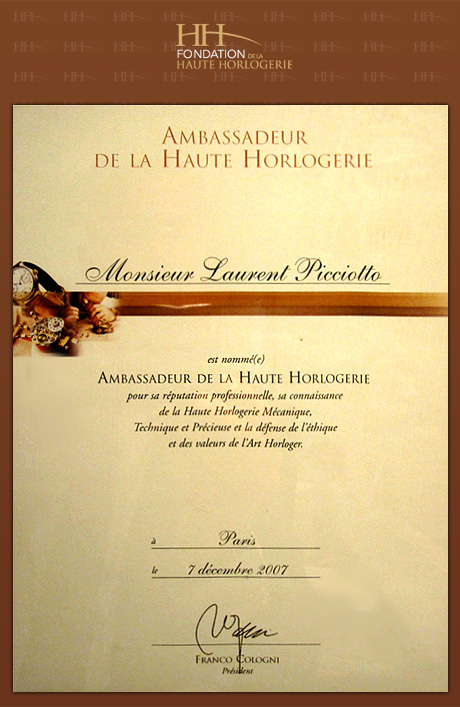 The presence of this oil is a unique concept in watchmaking, as the oil is by nature incompatible with any mechanical movement. Benoit Mintiens has therefore imagined a case in two waterproof parts where only the axes necessary for the display of hours and minutes are connected, the rest of the movement being protected from the dial in oil bath by a membrane system. This luxury watch with oil-bath dial gives the dial a unique depth. This system also has the advantage, especially valid for a diver's watch, of being able to read the time underwater, without reflection on the glass, protected from impacts with the titanium case. A truly innovative concept in watchmaking, this Type of Ressence watch represents both a singular design effort and an innovative watchmaking concept, a first for a luxury watch that, from the dial to the movement or movement, including the display, the case, the movement and the ROCS module, is resolutely off the beaten track! Today, Benoit Mintiens' Ressence watches are on display at the Salon International de la Haute Horlogerie all the way to Paris, and are highly prized by the most discerning collectors. 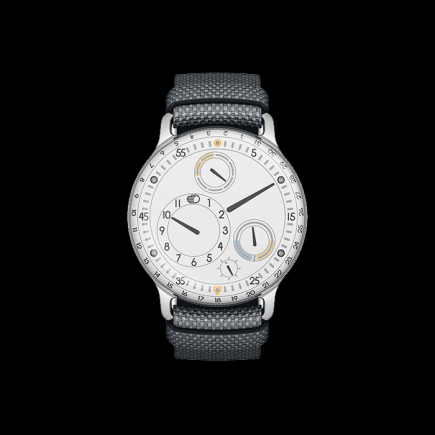 Chronopassion is AUTHORIZED RETAILER of RESSENCE since 2011,date of the brand's birth. RESSENCE TYPE 1²N "NIGHT BLUE"